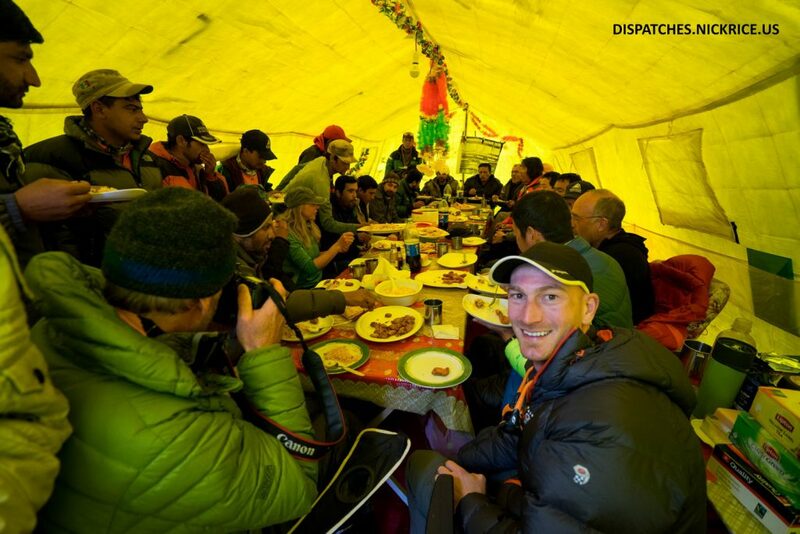 These past 5 days have been spent in Base Camp waiting out a storm that brought high winds and snow to K2. Those who tried to ascend the mountain during this storm retreated. 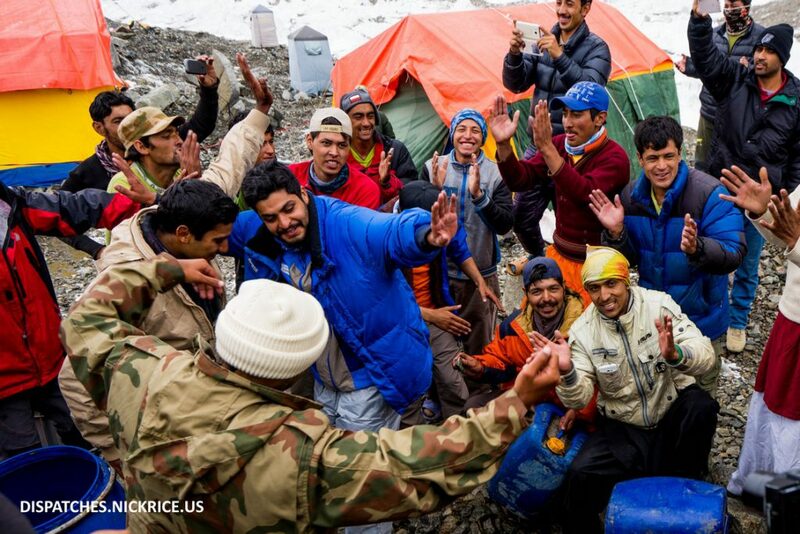 I spent the majority of the time working on secondary applications and visiting with friends in base camp. Although I normally publish a dispatch every single day, I figured a composite dispatch would be more appropriate during this storm, as daily dispatches would have been incredibly dull. On July 6th, we celebrated Eid ul Fitr, the breaking of the month long fast during the month of Ramadan. We enjoyed a feast hosted by one of the commercial expeditions and then watched as the local staff sang and danced. The weather today (July 8th) is much improved, however, winds are still high on the mountain. I am unsure at this point if I will climb tomorrow to Camp I, as the winds still appear to be high and the main motivating factor causing others to go up in poor weather seems to be the feeling that we are somehow “behind” since the two commercial expeditions arrived so early in June and have already slept in Camp II. However, we do have time to wait, as the traditional summit window usually doesn’t appear until the last week of July. If I do ascend to Camp I tomorrow, I will sleep there a night, climb to Camp II, sleep there a night, and if I’m feeling healthy, climb towards Camp III and sleep another night in Camp II before descending. This plan will only materialize if the weather cooperates.